Apple isn't the only company with exposure to the Far East. These retailers are caught in China's grinding economy, too. The world’s largest consumer technology company, Apple (NASDAQ:AAPL), fired a warning shot heard around the world that their biggest product, the iPhone, was seeing much slower-than-expected growth in one of its biggest markets, China. Investors everywhere freaked out, with the S&P 500, Dow Jones and Nasdaq all dropping well over 2% in response. The big takeaway is that the end of quantitative easing and rising U.S.-China trade war tensions are combining to create major headwinds for the global economy. This is especially true in China, where the 2018 slowdown is threatening to get worse in 2019. That’s bad news for stocks with exposure to China. Unfortunately, there are a bunch of stocks out there with ample exposure to the world’s second-largest economy. Specifically, there’s a bunch of retail stocks that have a worrisome level of sales exposure to China. Wells Fargo recently compiled a list of retail stocks in their coverage universe that have exposure to China. The takeaway? There’s more than a handful of retail stocks with double-digit sales exposure to China. With that in mind, let’s take a look at seven retail stocks with worrisome exposure to China. 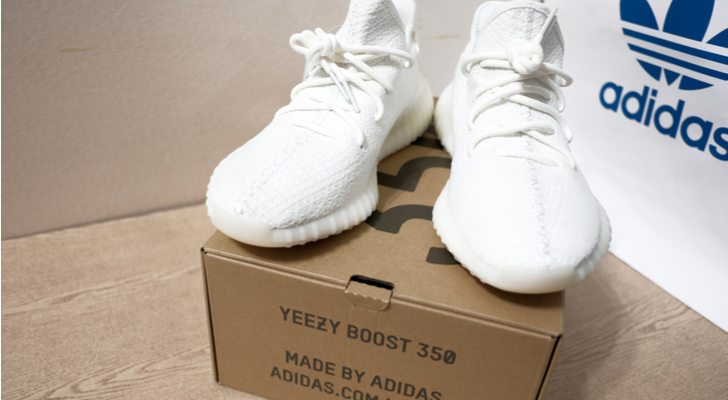 Near-term outlook: Although this was once the hottest athletic apparel company in the world, Adidas (OTCMKTS:ADDYY) is now facing numerous headwinds that plague the stock’s near-term outlook. First and foremost, the company has double-digit sales exposure to China, which is by far the most exposure among big athletic apparel brands. Second, the iconic brand is finally losing steam amid rising competition, and that is showing up in slower sales growth numbers. This trend will persist, and it will keep ADDYY stock lower for longer. Long-term outlook: The long-term outlook for Adidas stock is much more favorable than its near-term outlook. Trends in fashion change all the time. This current trend wherein Adidas is losing steam will not last forever. Eventually, it will be replaced by another trend where Adidas is back in fashion. Big picture, this is a long-term winner that you want to buy when the trend is your friend, and sell when the trend goes the other way. Near-term outlook: The near-term outlook for shares of Tiffany (NYSE:TIF) is not good. Not only does the company have 16% exposure to China’s rapidly slowing economy, but TIF also sells the sort of premium product (jewelry) that consumers can go a long time without buying if times get tough. Indeed, during prior economic slowdowns (2015-16 and 2008-09), TIF stock dramatically underperformed the market due to the company’s economic slowdown sensitivity. Long-term outlook: The long-term outlook for TIF stock is much more favorable. Although near-term demand is sensitive to economic slowdowns, long-term demand is stable due to the enduring and timeless appeal of jewelry. Also, within this enduring appeal jewelry industry, Tiffany has separated itself among millennial buyers, thus giving the company a healthy long-term demand outlook. In five years, I think $6.50 in EPS in achievable, driven by low single-digit revenue growth and some margin expansion. A normal 20 multiple on that implies a long-term price target of $130, representing healthy upside in a multi-year window. Near-term outlook: At first glance, the near-term outlook for Nike (NYSE:NKE) stock isn’t all that great. A 15% sales dependence to the rapidly slowing China economy is not good. But, we just heard from Nike two weeks ago, and they said everything was great in China. Sales growth in China accelerated from 20% in Q1, to 31% in Q2. Thus, whatever is affecting Apple in China, is not affecting Nike. This company is firing on all cylinders in China, and everywhere else too (growth accelerated across all geographies last quarter). Thus, the near-term outlook for NKE stock is actually quite favorable. 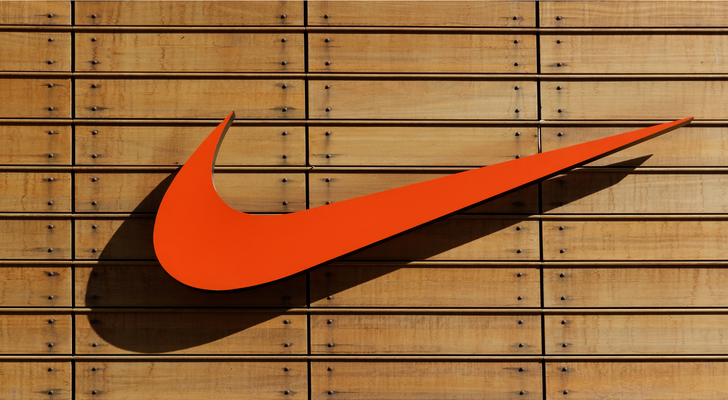 Long-term outlook: The long-term outlook for Nike stock is also quite favorable. Over the past twenty years, Nike has time and time again flexed its muscles as the most dominant and unparalleled juggernaut in the athletic apparel industry. They’ve squashed competitive threats, continually come out with the best products, and always sign the best athletes. Also, this entire space is growing rapidly due to the widespread emergence of healthy and active lifestyle trends. Altogether, this is a very solid company with the potential to hit $5 EPS in five years. A historically average 25 multiple on that implies a long-term price target of $125. That’s almost double the current price. Near-term outlook: The near-term outlook for Skechers (NYSE:SKX) stock is mixed. On one hand, you have a company with slowing growth rates and struggling margins that have sizable exposure to the slowing Chinese economy. On the other hand, you have a company who might win in a slower growth environment due to its lower-priced shoes, and you have a stock that is dirt cheap and rubbing up against a critical support level at $20. Thus, while a near-term bounce-back looks unlikely, further downside also seems fundamentally and technically limited. Long-term outlook: The long-term outlook for Skechers stock is quite promising at current levels. Skechers has carved out a solid niche for itself in the global athletic apparel industry as a leading provider of high quality, mid-priced athletic apparel shoes for the largely off-trend demographic. This strategy has powered consistent double-digit global sales growth over the past several years, and continues to power high single-digit sales growth today. This growth has also happened alongside healthy gross margin expansion. As such, if these trends remain intact over the next several years, SKX stock is simply too cheap here at 11X forward earnings, and will ultimately head higher in a multi-year window. Near-term outlook: The near-term outlook for traditional watch giant turned wearables company Fossil (NASDAQ:FOSL) is actually quite favorable. Apple warned about slowing iPhone demand. But, they also said that Apple Watch demand remained robust. That is a bullish read for Fossil, whose entire turnaround narrative is predicated on robust growth in the hybrid smartwatch category. Recent numbers from Fossil indicate that this trend remains alive and well. But, the stock has been beaten up in a big way over the past few months due to concerns that the hybrid smartwatch market is struggling. Fossil’s next quarterly numbers should ease those fears, and cause a pop in FOSL stock. Long-term outlook: The long-term outlook here is favorable, too. Fossil used to be the face of the huge traditional watch market. That market has shrunk considerably due to the onset of smartwatches. While smartwatch functionality is nice to have, traditional watch aesthetic will also likely never go away. As such, Fossil is making a comeback through hybrid smartwatches, which is essentially the integration of traditional watch aesthetic with smartwatch functionality. This market will be very big one day, and Fossil will be at the head of it. As such, FOSL stock should head higher in a long-term window from here. Near-term outlook: The near-term outlook for global luxury brand Capri (NYSE:CPRI) has been quite negative. But, that may be changing soon. 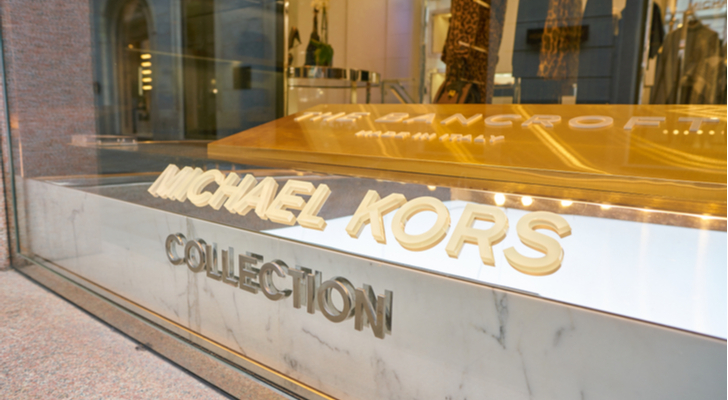 To be sure, this company does have an 8% sales exposure to China, and its global suite of brands (Michael Kors, Versace and Jimmy Choo) have broad exposure to the global consumer markets. But, the biggest weight on this stock has been its balance sheet, which has been increasingly pressured by the threat of rising interest rates. With the global economy rapidly cooling, it is unlikely rates head higher any time soon. As such, this stock’s biggest risk may be moving into the rear-view mirror, and CPRI stock could be due for a near-term bounce back. Long-term outlook: At current levels, the long-term outlook for CPRI stock is favorable as healthy long-term fundamentals are set to converge on what is a hugely discounted valuation. CPRI stock currently trades at just over 7X forward earnings. That is dirt cheap. But, between Michael Kors, Versace, and Jimmy Choo, Capri has amassed a portfolio of luxury brands with enduring appeal. Thus, long-term, this company should be able to grow revenues, margins, and profits at a healthy rate. None of that is priced in at 7X forward earnings, meaning the stock has huge firepower in a long-term window. 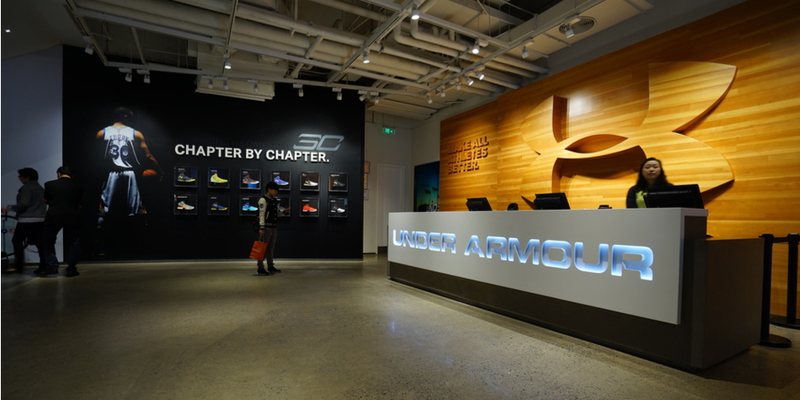 Near-term outlook: The near-term outlook for athletic apparel company Under Armour (NYSE:UAA) is favorable, despite its 5% sales exposure to China. The rationale for this favorable outlook is that all the bad news has already been priced into the stock. At one point in time in early December, this was a $25 stock. Just a month later, UAA stock has plunged more than 30% to $17. Now, the RSI hovers right around oversold territory, the valuation is as cheap as its been in several years, and sentiment is awful. In other words, this stock is due for a near-term bounce back. Long-term outlook: The long-term outlook isn’t so great. At its core, Under Armour is an athletic apparel brand that failed to branch into the lifestyle market, and is instead doubling down on the performance market. This re-focus is the right move for stability and profitability. But, it also limits this company’s potential upside in a long-term window. As such, this company appears to have runway to $1.15 in EPS within five years. A Nike-average 25 forward multiple on that implies a four-year forward price target of $28. That’s good, but not great, upside in a four to five year window. As of this writing, Luke Lango was long AAPL, NKE, SKX, UAA and CPRI. 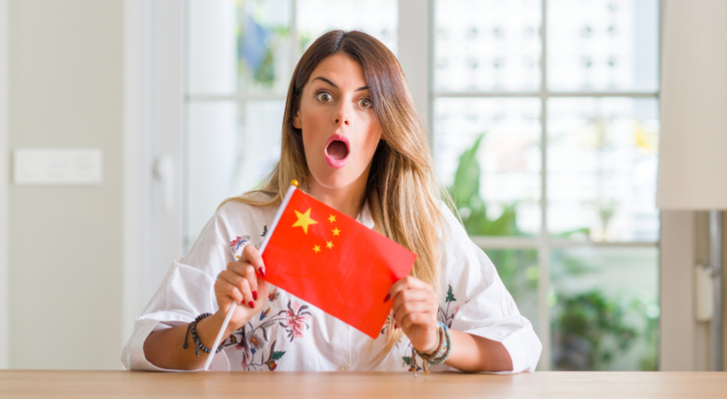 Article printed from InvestorPlace Media, https://investorplace.com/2019/01/retail-stocks-worrisome-exposure-china/.